However, being true to myself there is now a new website dedicated to providing you with the latest news regarding everything stereoscopic 3D that is called Stereoscopic 3D News. 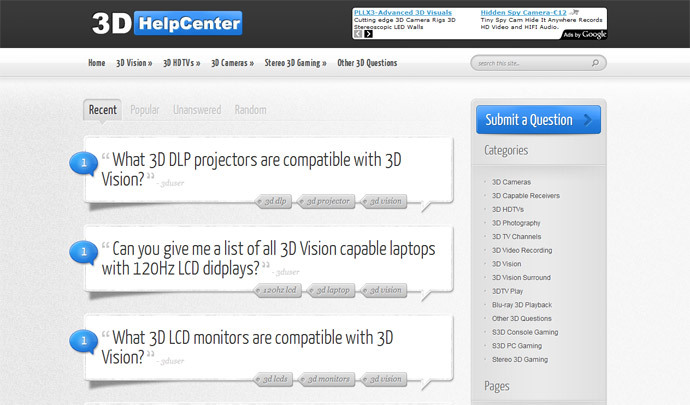 And the best part is that there you can also quickly share any new and interesting information or news you may find with other users that are interested in stereo 3D, so you’ll be always up to date. You just need to make a quick and simple registration in order to be able to submit stories and vote for the ones shared by other people should you find them interesting and useful in order to differentiate them as more important than the others. 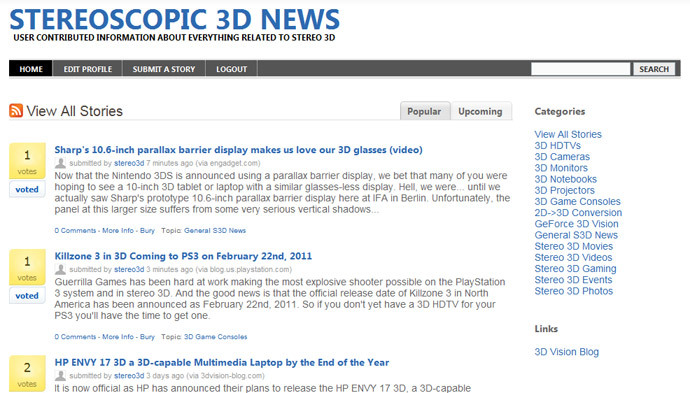 So you can actually say that this new website is like the popular Digg, but dedicated only to stereoscopic 3D topics and made for the stereo 3D community with different interests.